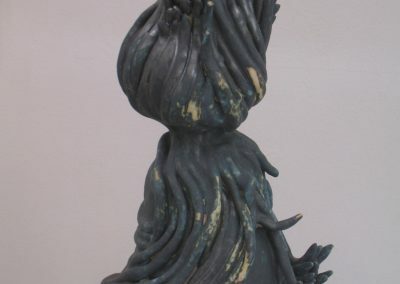 When distance digs deep fissures in our lives, one has to plod on, as best as possible, without the intact world that existed before. Over the course of time, hope can develop, becoming the motivating force behind bringing what was separated back together. 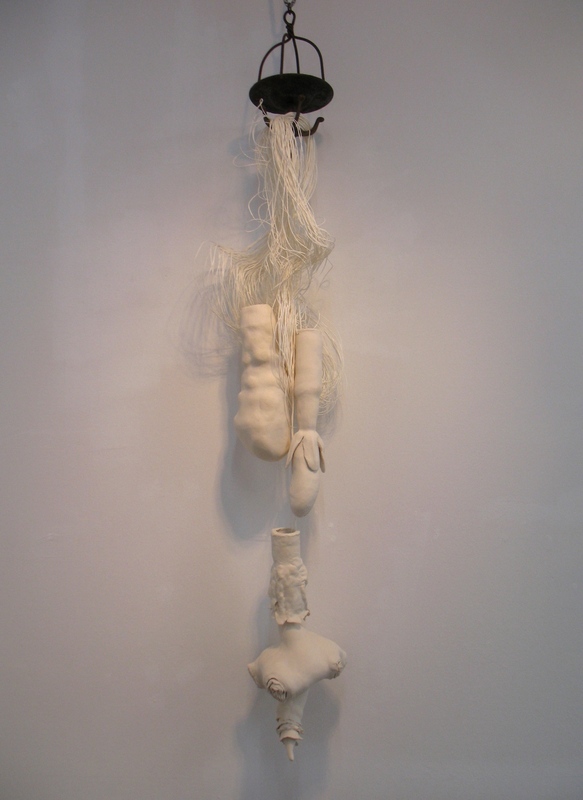 The search for identity has been a reoccurring theme in Claudia Hartwig’s artistic work. 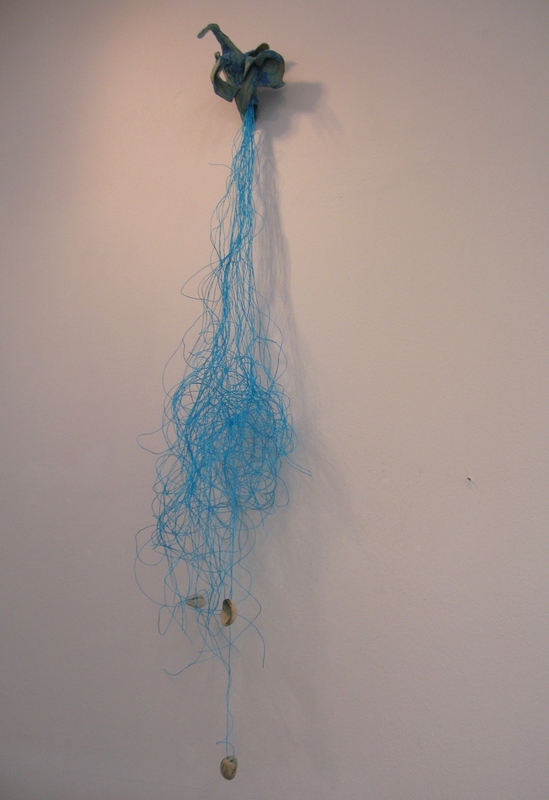 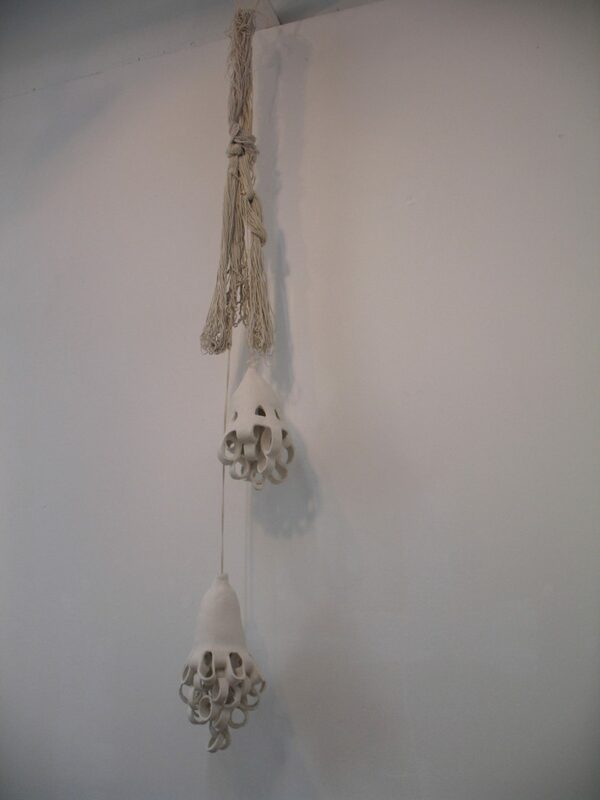 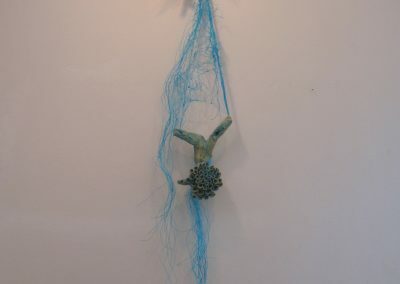 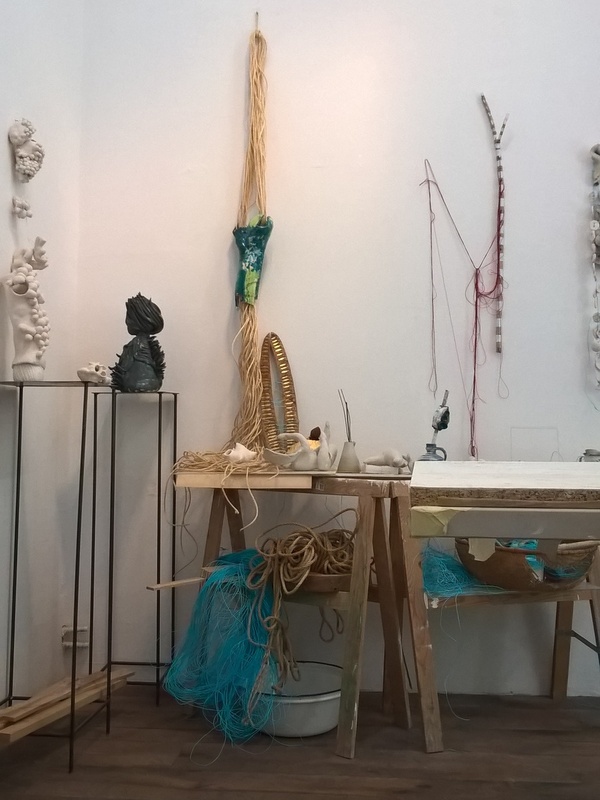 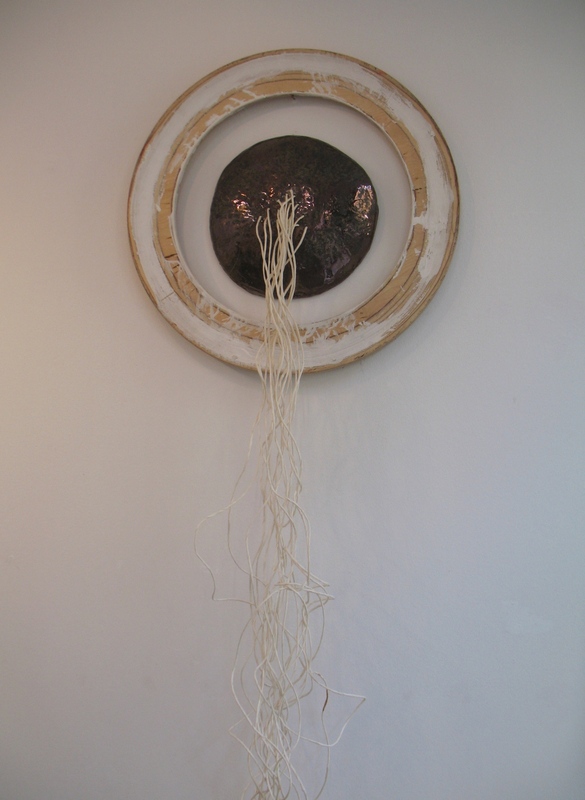 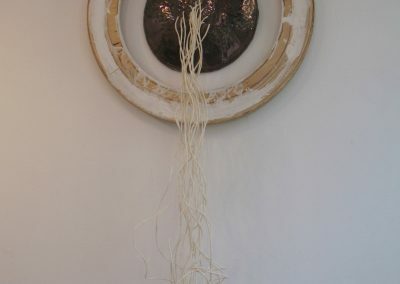 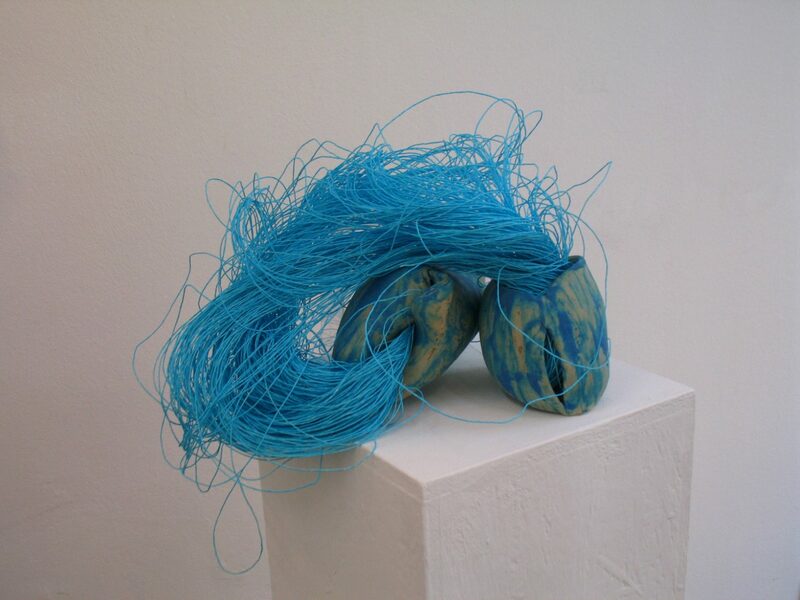 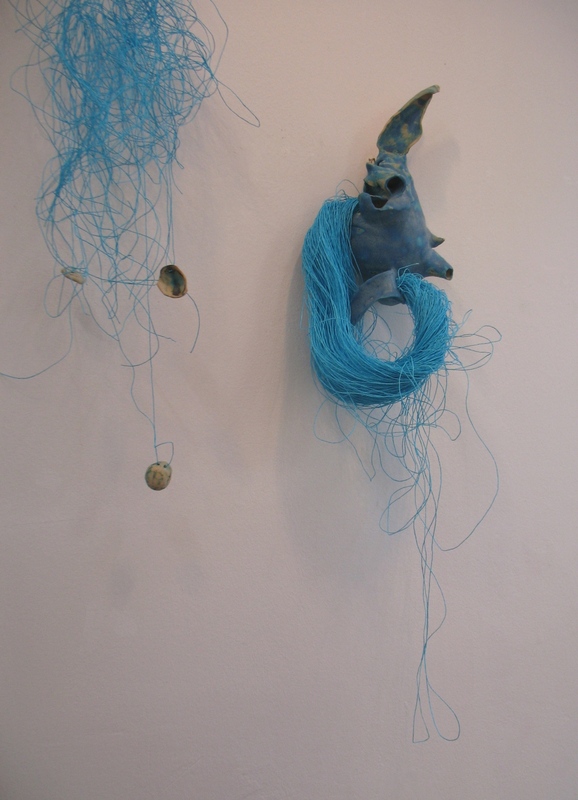 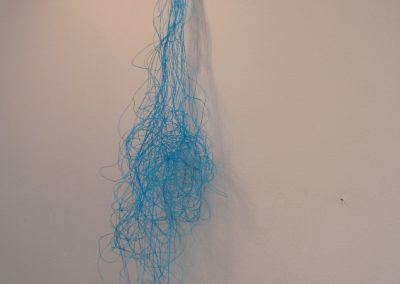 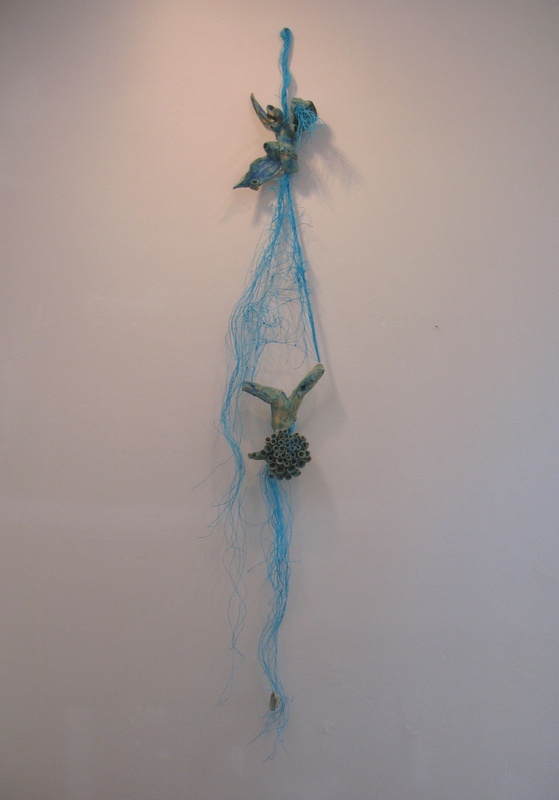 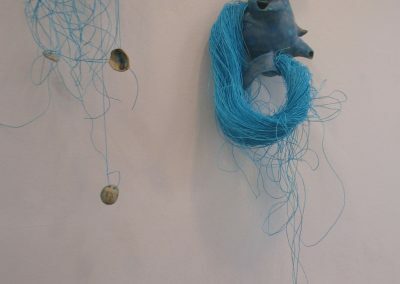 She made her first sculptures and objects out of jute, linen and wire; processes of becoming visible as well as keeping something hidden are crucial in this process. 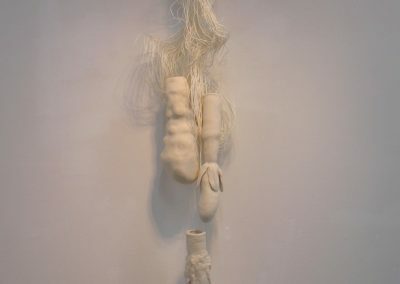 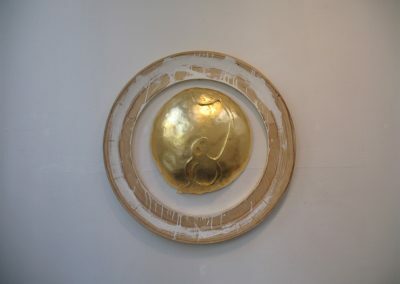 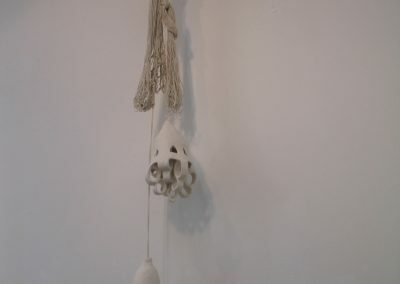 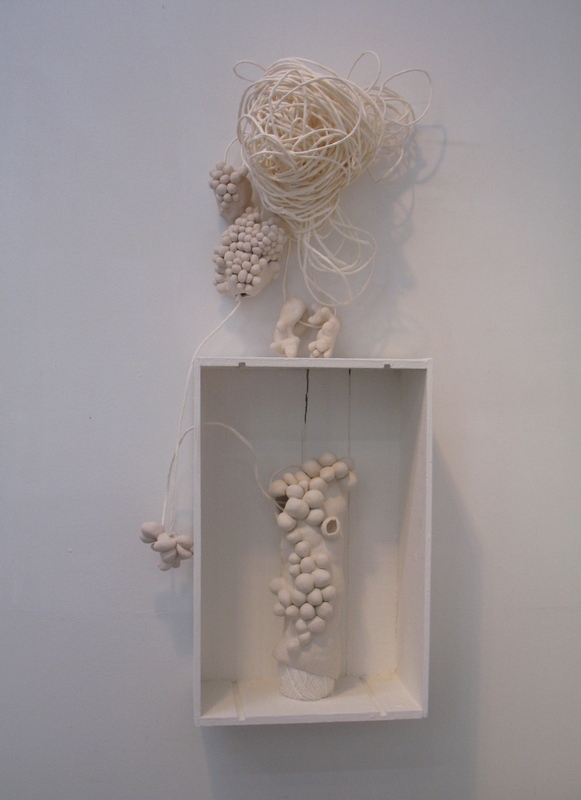 This interplay results in a certain tension that she pursues, that she submits to and then project on to her sculptures. 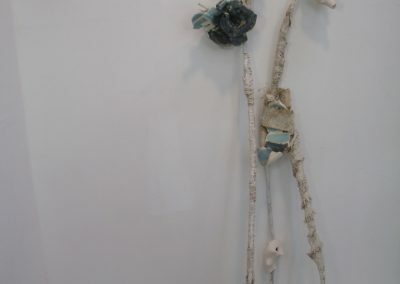 Vitality, providing the work with a soul that brings contrast together through its energy, is also inherently important. 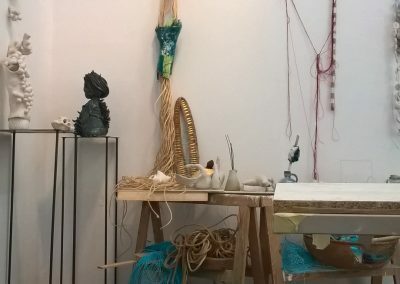 Each of the objects that Claudia Hartwig creates is given some of her energy in a manner akin to how a shaman transfers his or her spirit into an inanimate object. 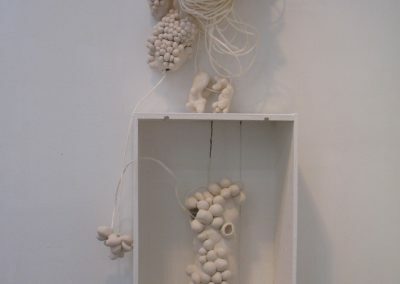 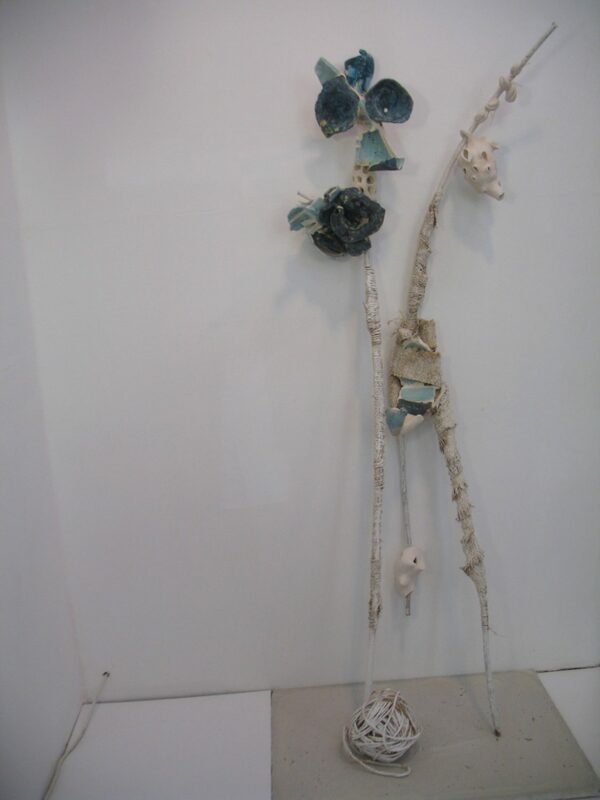 Development, growth, reaching maturity and the power inherent when something or someone blossoms play an important role in her current paper clay works. 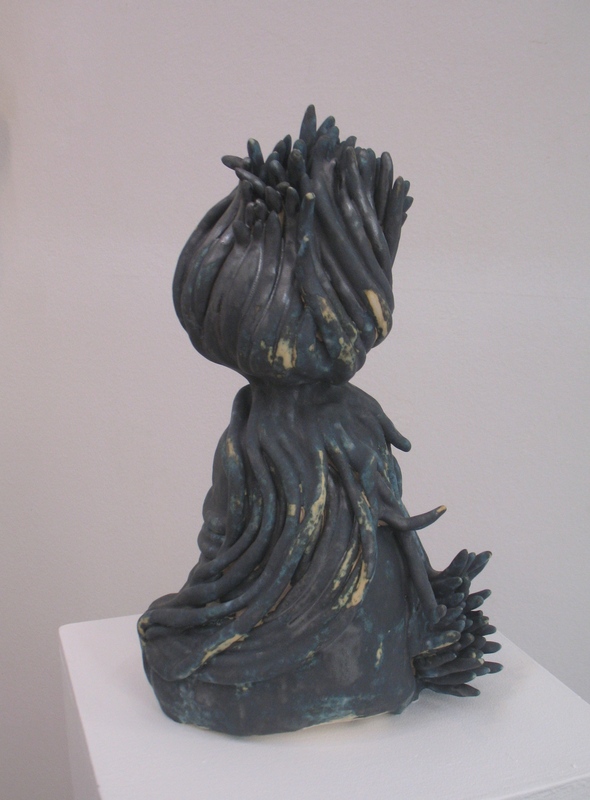 These sculptures are the result of transformative processes, conceived to pass on the hidden powers therein.